In the run-up to Thailand’s elections, to be held on March 24, there was an initial burst of media attention around the possibility that Princess Ubolratana, the older sister of Thailand’s King Rama X, briefly put her name forward as a candidate for the pro-Thaksin Shinawatra Thai Raksa Chart Party. She would have been Thai Raksa Chart’s prime minister candidate, but her brother, the king, essentially quashed her candidacy. In the weeks since the furor over Princess Ubolratana’s surprise appearance, and almost immediate disappearance, from the election, the ruling junta—most likely with the accession of the palace—has reverted to tactics it has used for decades now to undermine and destroy anti-junta and/or pro-Thaksin parties. For one, the army and its allies in the judiciary and bureaucracy are working to ban or otherwise neuter key parties within an emerging anti-junta coalition that, although it has many differences among its members, could encompass Puea Thai, Thai Raksa Chart, and the Future Forward party, a new party that hopes to pick up significant support from younger Thais dissatisfied with military rule and Thailand’s continue scourge of coups. Future Forward expects to be especially strong in urban areas, and one poll showed it actually had the most support of any party running in the election. Together, despite running in a clearly unfair political environment, this anti-junta coalition appears to remain popular, and could potentially pick up enough seats to win control of Thailand’s lower house of parliament. So, the military and its allies are trying to prevent some of these anti-junta parties from even being on the ballot on March 24, while also warning other anti-junta parties that, even if they win on March 24, their triumphs could be short-lived. Bans on anti-military parties and party leaders, often on charges so minute it seems hard to believe they could bring down a political career, are tried and true strategies for the military and its allies in Thai politics. In this case, Thai Raksa Chart could well be disbanded by Thailand’s top court later this week, destroying it before the election and leaving uncertain whether its supporters will migrate to Puea Thai, Future Forward, or other parties. Future Forward, meanwhile, is facing dissolution allegedly over comments about the Thai monarchy, and Thai prosecutors could bring a criminal case against Future Forward leader Thanathorn Juangroongruangkit, a dynamic young politician, allegedly for offering criticism of the military in a speech in 2018. If prosecutors charge Thanathorn after the election, and proceed with a case, they could strip Future Forward of its key actor; in announcing the possible charges before the election, the Thai judiciary—usually now aligned with the armed forces—is also signaling to potential Future Forward voters that their party may be dismantled or crippled, just a few days after elections. To make matters worse for Future Forward, the junta now appears to be pursuing criminal charges against Future Forward’s deputy leader, utilizing what is essentially Thailand’s anti-“fake news” law for sharing an article that was incorrect but that he quickly deleted. He could be slapped with five years in jail. The junta also appears to be pursuing charges against another person running for prime minister in the election, claiming that he defamed the army chief. 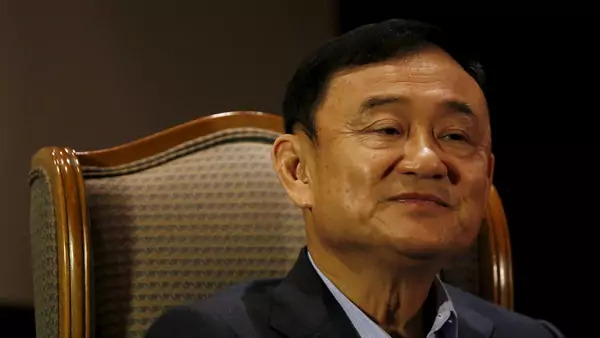 The junta’s hope, most likely, with all these traditional pre-election dirty tricks, is to reduce the voter turnout for pro-Thaksin parties and Future Forward enough that the anti-junta coalition will not win control of the lower house of parliament. This would allow the main pro-military parties and its allies to try to cobble together a coalition, with junta leader Prayuth Chan-ocha as prime minister. Alternatively, even if the anti-junta coalition wins control of the lower house on March 24, the army—likely with support of the palace—will probably use these looming charges, against people like Thanathorn and possibly other leaders of the anti-junta coalition, to bar them from politics for long periods of time and possibly put them in jail as well. Thanathorn’s alleged offense, for instance, carries a twenty year ban from politics if he is found guilty. In so doing, the military would quickly defang an anti-junta coalition that won control of the lower house of parliament, rendering it unable to function—unable to deliver on promises like cutting military spending, creating more effective oversight of the armed forces, boosting social welfare spending, and bringing Thaksin and Yingluck Shinawawtra back to Thailand, albeit to face new trials. An anti-junta coalition losing key players, fighting constant threats of bans or other actions from the judiciary, and likely with a slim majority even if it wins control of the lower house—the scenario would be ripe for a repeat of the late 2000s, when the military allegedly maneuvered behind the scenes to bring down a pro-Thaksin government, and reportedly strong-armed politicians into forming a new coalition, in the lower house, led by parties far more amenable to the Royal Thai Army.